Each season, the Conservatory Artist Series brings to the stage a wide variety of performances from talented students, faculty and guests. 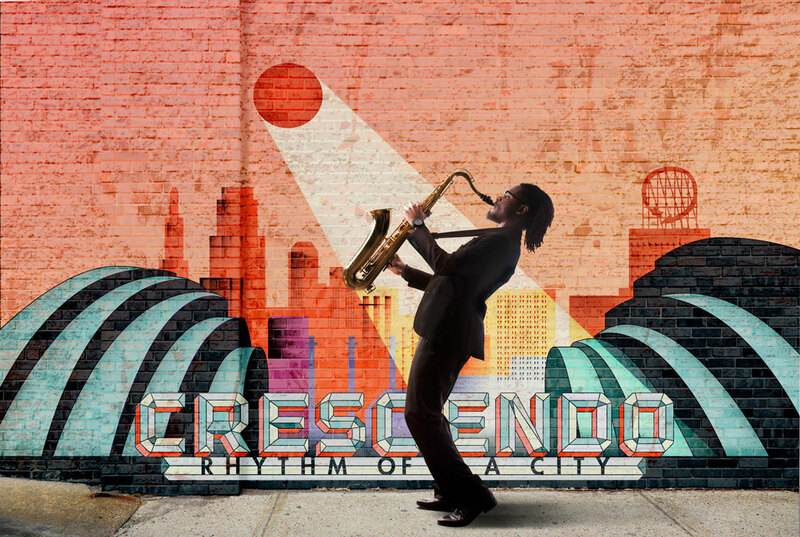 Stunning opera performances and guest concerts in White Recital Hall, masterworks performed in Helzberg Hall at the Kauffman Center for the Performing Arts, and the swinging sounds of our jazz bands at the Folly Theater, demonstrate that there is something for everyone this season. Directed by Steven D. Davis, this exciting program includes R. Strauss: Festmusik der Stadt Wien; Stravinsky: Concerto for Piano and Wind Instruments, featuring new piano faculty Thomas Rosenkranz; and Hindemith: Mathis der Maler. Tickets: $25 general public; UMKC faculty, staff and all students $10 with UMKC or student ID. Join us for the Conservatory’s annual fundraising event for scholarships, with music and dance performed by Conservatory students and faculty in a dynamic prism concert that pulses throughout Helzberg Hall. Sponsored by the Friends of the Conservatory of Music and Dance. Tickets for concert only: $35 general public, $15 for UMKC faculty, staff and all students with ID. Call 816-235-1247 for sponsorship information. Feigned identities, illicit intrigues and spurned lovers frolic and mourn within a hothouse of love and insanity in Mozart’s La finta giardiniera (The pretend garden-girl). UMKC Conservatory Opera, led by director Fenlon Lamb, explores a brilliant bouquet of tender lovers and even more tender egos. This opera buffa with roots in commedia but overtones of the more dramatic style of the period is a tale of betrayal and redemption that plays out in tuneful arias and intricate ensembles. A delightful romp mixed with opera seria to keep the warm and wild nights of summer rolling right into the chill of November. Sung in Italian. Nov. 15–17, 7:30 p.m., Nov. 18, 2:30 p.m.
Tickets: $12 general public; UMKC faculty, staff and all students FREE with UMKC or student ID. ETHEL was established in New York City in 1998, quickly earning a reputation as one of America’s most adventurous string quartets — heirs to the likes of the Kronos Quartet and Soldier String Quartet, and part of a generation of young artists blending uptown, conservatory musicianship with downtown genre-crossing — by playing with the intensity and accoutrements of a rock band. 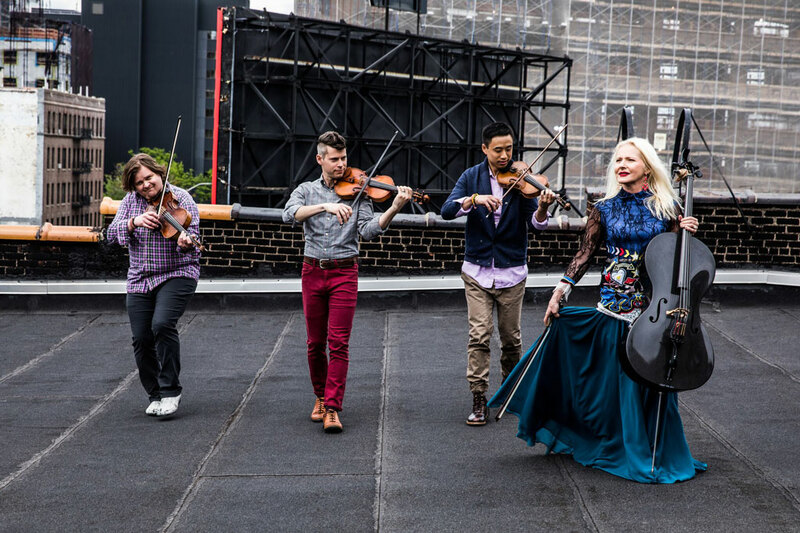 The New York Times has described them as “indefatigable and eclectic.” ETHEL is: Ralph Farris (viola), Kip Jones (violin), Dorothy Lawson (cello) and Corin Lee (violin). A collaborative ethos is the heart of ETHEL — a quest for a common creative expression forged in the celebration of community. Their album The River with guest artist Robert Mirabal debuted in 2016 and was nominated for a NAMMY award. Join the Conservatory jazz bands in a rockin’ collage concert featuring a variety of ensembles that represent the entirety of jazz studies at the Conservatory. This is ALWAYS a must-see, great night of jazz with our talented students. The dance faculty combine their creative choreography with our talented dance students and collaborate with Conservatory musicians to create innovative performances that you won’t want to miss. 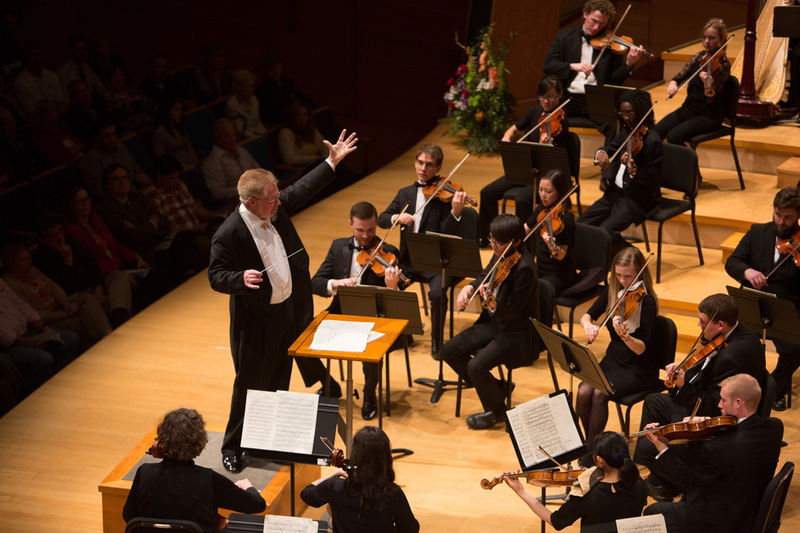 This concert celebrates Dr. Robert Olson’s distinguished 50-year career and his contributions to UMKC’s Conservatory. Join the Conservatory Orchestra and choirs, directed by Robert Olson and Robert Bode, respectively. The performance includes Wagner’s The Ring Without Words; Brazilian composer Heitor Villa-Lobos’ Chôros No. 10, “Rasga o coração” for chorus and orchestra. The winner of the Chancellor’s Concerto Competition also performs with the orchestra.